CHILLI GOBI - This is one of the most famous indo-chinese recipe. The real flavor of this dish is in the sauce that gets coated with the cauliflower. No doubt as this will be a great hit at parties. 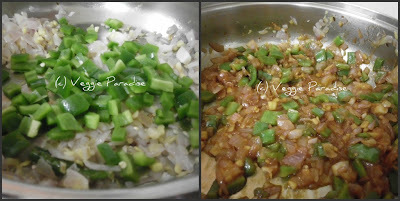 Serve this as a side dish with Fried rice or Noodles. Boil the cauliflower florets in water with a pinch of turmeric powder. In a bowl, prepare the batter with cornflour, plain flour, chilli powder and little salt. 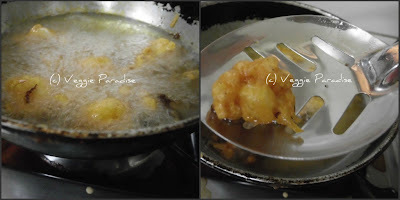 Dip the cauliflower florets in the batter and deep fry them until golden brown. 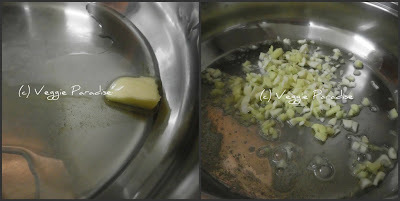 Heat butter and oil in a pan, add finely chopped ginger and garlic, fry for a couple of mins. Add green chilly and onions , fry until the onions become soft. Now add the chopped capsicum, saute for a min and add all the sauces along with vinegar , sugar and salt. Mix them well. Tip in the fried cauliflower florets ,toss them gently and make sure the florets are coated with the sauce. 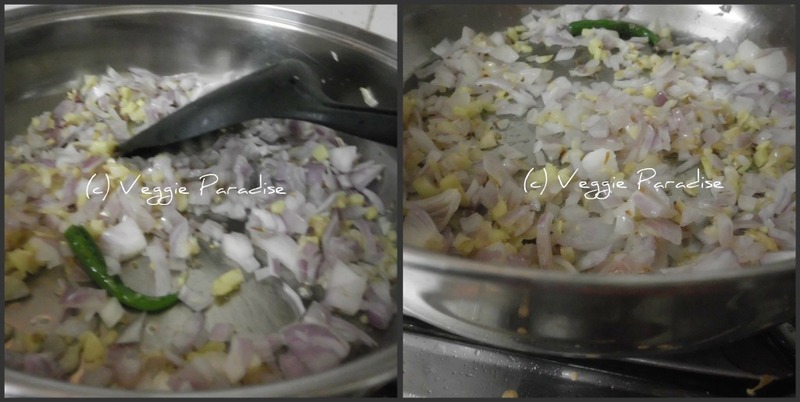 Remove from heat and serve it hot garnished with spring onions or corainder leaves. Can I have these as my evening snacks dear? ;-) Pass me the bowl. 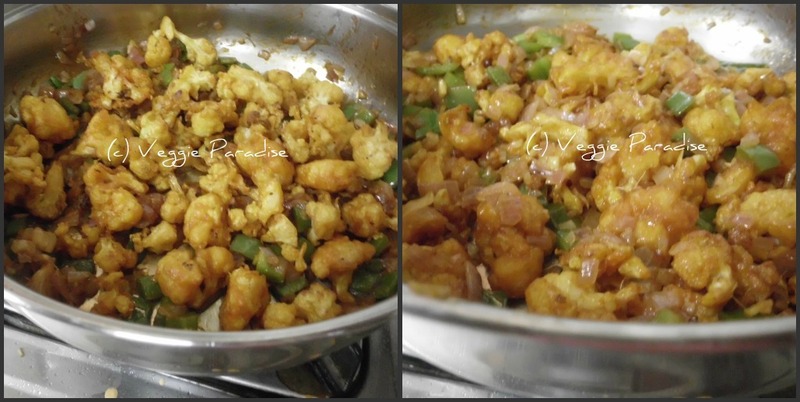 Tempting..
Love this and you have done it so perfectly..
delicious chilli gobi..nice presentation aruna! wow, that's a visual treat. Love them anytime. This goes nice in the rainy day dear. It is a fantastic recipe and clear presentation. Yummy. This is my all time fav. Looks so mouthwatering. Nice recipe. Looks so good. YUM! 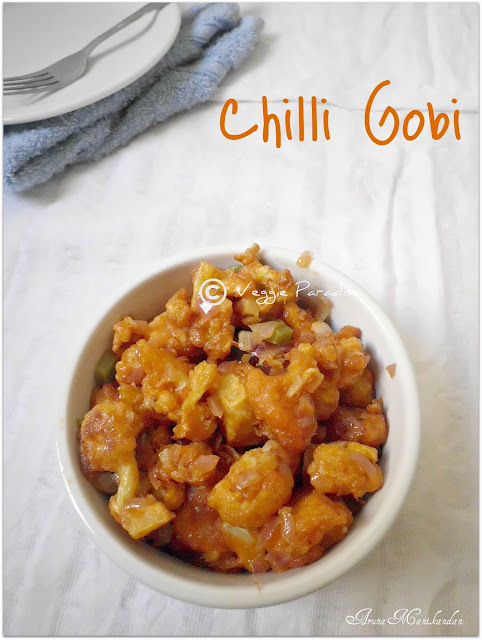 Yummy and Spicy gobi..well explained. I've always loved this dish...will try it soon. I also add some honey to give it a sweet & sour taste ! I love chilli gobi and order it all the time when we eat out. I have never tried making the recipe at home. Will bookmark and try it soon. Thank you. Perfectly made chilly gobi..beautiful presentation. Lovely preparation and step by step helps a lot. all time fav, looks perfect n tempting...well explained too! WOW..I love this..Thanks for posting it Dear..
Easy to follow and looks so good! I have been craving for something like this for a while. 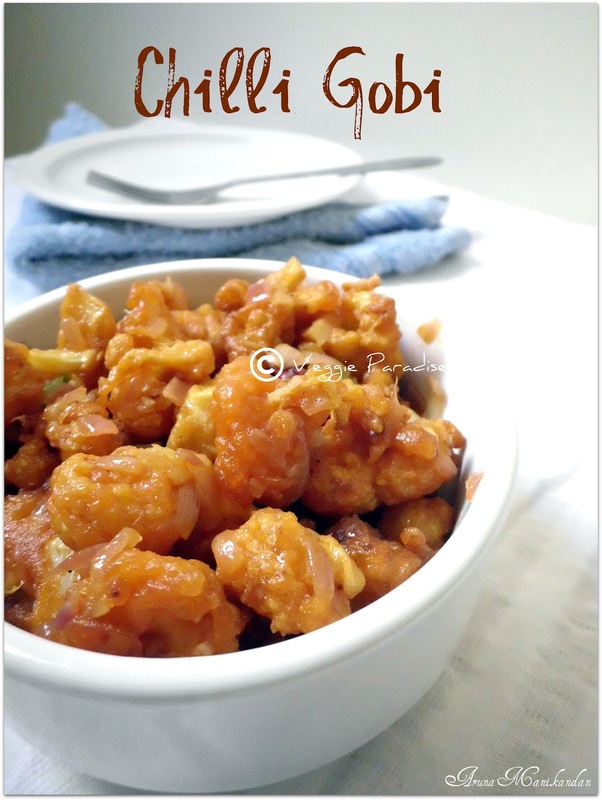 Have bookmarked it now to make some fried rice with this gobhi! Lovely meeting you and thanks so much for joining up with me!As you will find out from my most recent post, I had been out of action for a short while and hence I couldn't come along to say hi any earlier - hope you won't mind:)Joining up with you very happily and hope you have a nice stay at my place! Wow..wat a yummy recipe...looks absolutely delicious...tempting. What a lovely color!! Looks soo inviting! Looks good. I love this dish, and now will appreciate the work that goes into it. Anything with cauliflower, I'm in. This looks too good. 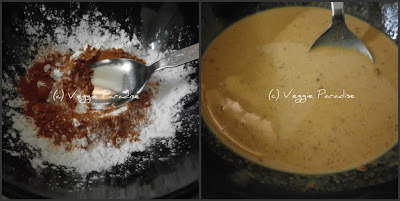 Hi, I have tried the recipe today! Simply Delicious! My Husband loved it! Thanks! Always wanted to try this at home. 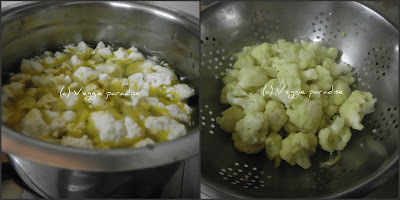 with cauliflower in season, I'm going to just use ths same measures here and try it out.